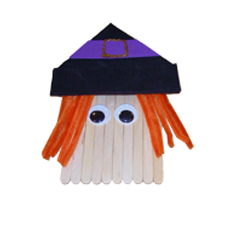 Create a simple craft stick witch to display for Halloween! Add a magnet or attach cording so you can hang it anywhere you want! Gold Glitter Glue 1.8 oz. 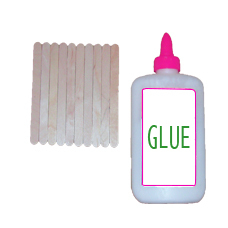 Glue together 10 craft sticks. 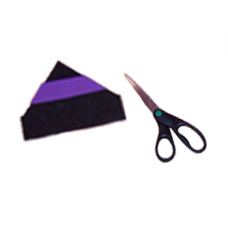 Cut a triangle from black foam. 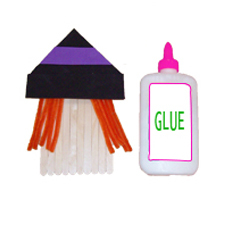 Then, add a black foam rectangle on the bottom of the triangle to be the rim of the witch’s hat. Add a purple foam stripe across the top. 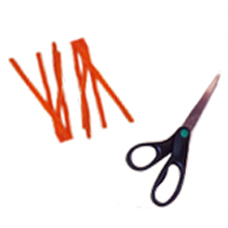 Cut 5 orange fuzzy sticks in half. 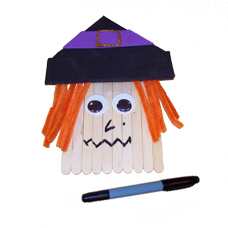 Glue on the orange fuzzy sticks to give the witch hair, then glue the hat on top. 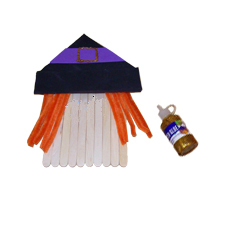 Draw a buckle on the witch’s hat in gold glitter glue. 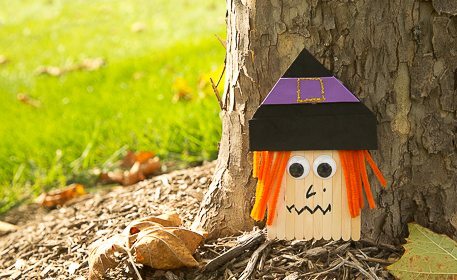 Add 2 large wiggly eyes so your witch can see. Draw on a crooked smile and a nose with black marker.